Love Island’s Mike Talassitis died in Edmonton, North London. The Metropolitan Police confirmed: “Police were called to a park near Latymer Way, N9 at 0928hrs on Saturday, March 16 to reports of a man found hanged. Officers and the London Ambulance Service attended and found a man, aged in his 20s, deceased,” the statement continued. “At this early stage, the death is not being treated as suspicious.” The statement did not name Mike and said they were in the prices of informing the man’s next of kin. “A file will be prepared for the coroner,” they added. Yesterday, reports said Love Island 2017 star Mike had been found dead in a woodland near his home in Essex. The former footballer shot to fame on Love Island when he appeared on the reality dating series in 2017. Love Island stars have led tributes on social media, with Amber Davies, 22, saying: “I am in utter shock. “@MikeThalassitis you were one of the most genuine guy! The Sun’s Dan Wootton said yesterday that he had spoken to Mike just days ago and that the star was grieving the death of his nan. 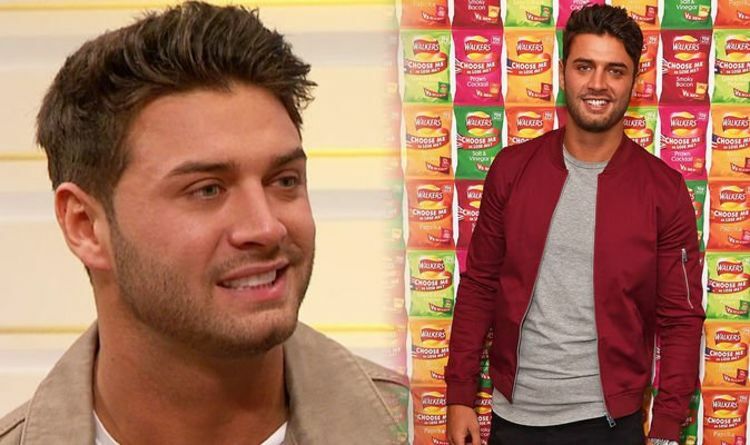 “Devastated to hear of the passing of Mike Thalassitis,” the he told his 340,000 Twitter followers. “He was a good man and this is an atrocious waste of a young life. “I spoke to Mike (who loved that I would still call him Muggy) on Thursday,” the journalist continued. “He was grieving the loss of his nan. Dan also said Mike “wasn’t the lad you saw on Love Island”, calling him “tender and sensitive and vulnerable and desperate for true love”. Last year, Mike appeared on Celebs Go Dating. In the summer, he split from his TOWIE star girlfriend Megan McKenna, 26. Following the tragic news of Mike’s death, his Love Island co-star Dom Lever, 28, took to Twitter to say the contestants on the show “don’t get any support” after they leave. “You get a psychological evaluation before and after you go on the show but hands down once you are done on the show you don’t get any support unless you’re number one,” he told his 174,000 followers. Fellow islander Alex Beattie, 24, replied: “This is what angers me the most mate! I feel so lucky as a man to have had a strong support network around me and a passion for something before Love Island. Which I could turn to but in a different way. “If the show is set to carry on NEEDS TO have regular check ups on contestants,” he added. When asked for comment by Express.co.uk, a spokesperson for ITV declined. Captain Marvel streaming: Can you watch Captain Marvel online? Is it legal? Venezuela Was Crumbling. A Blackout Tipped Parts of It Into Anarchy.